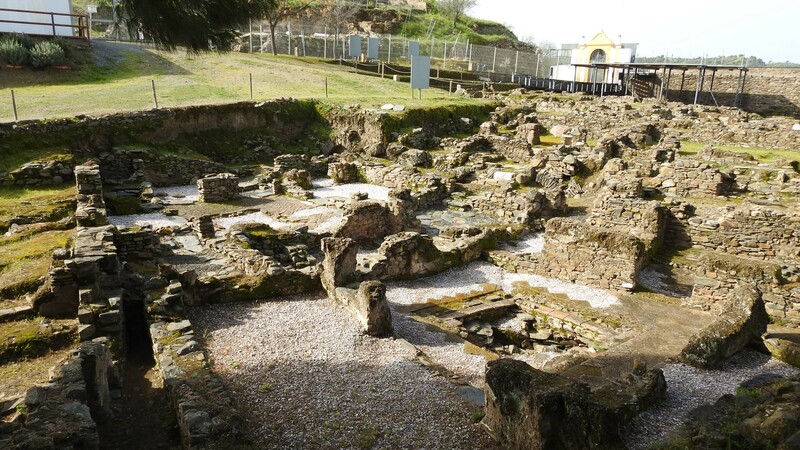 On my Mum’s final day here in the Algarve I took her to see the lovely Roman ruins at Milreu. It was my third visit, and so I didn’t expect to take many photographs but I took the camera just in case. And I am so glad I did as the ruins are beautiful at the moment surrounded by the spring flora. We had a marvellous time the two of us, and I was so looking forward to sharing with you on my Portuguese blog all my snaps. Then disaster struck last night. I hit the delete all button on the camera! I was so upset. Not only had Mum left a few hours before to return to England but I had gone and destroyed all my wonderful photographs. I did have one or two saved by chance onto my phone, and I knew I could always return to Milreu to take more. But it wouldn’t be the same. So I spent a few hours trying to recover them using specialist software, but to no avail. It found them but said they were unrecoverable. So off to bed not in the best of moods. This morning I decided not to give up and decided to try alternative software. I was feeling hopeful as I had found software specifically designed for the memory card I am using. Then only half hour in to the scanning phase the computer froze. Aargh! I discovered that if the computer went into sleep mode everything stopped then froze. I had no choice but to stay in touch with the computer all day. Now finally at nearly four we have succeeded, and I am a very happy pumpkin. All have been recovered and now safely saved. No energy left though to write the proper post on my Portuguese blog, I really need a break from the computer. I just though had to share my happiness with you here. Thank you 🙂 we were smiling so much as I was doing it on a timer and for some reason it always make me giggle doing that. Much better than selfies, and why finding the pictures was so important to me!! Aargh, these things are so easily done! Glad you got it sorted. So am I! Thanks for your empathy, I was so cross with myself!! Oh my! I am so sorry. I did something similar to a bunch of photos while on vacation. I have a work flow in place now that is almost foolproof. I’ll share it with you. I never look at the photos in my camera that way I can’t do an oops. At the end of a shoot I stick the memory card into my computer. I copy the contents into a folder I create for them in Lightroom. Then I process my photos and delete the rubbish. Then I back it up to at least 2 backup drives. Lastly, I format that card in the camera. I never do that until I have backed up the pictures at least twice. I do all that the same day or next morning. That way each day only has that day’s shoot on it. I can it all quite fast now after practice. oh wow Sherry that a brilliant system . . . .I never usually delete photos on my camera as like you I always copy them onto my computer before I sort and before I delete. However that evening I had been taken some random ones and was convinced (until a millisecond after touching delete) that was all that was on the camera. Totally forgot I hadn’t transferred the ones from earlier in the day . . . still the software did work and I now have them. I will though be following a system almost like yours in future! !